Nothing can make you feel better in the morning than a warm shower. It will not only make you feel refreshed but it’s also good for your health. But it comes at a cost. Having a hot water system in your home ensures a steady supply of hot water. In fact, water heater is an important appliance in any Brisbane’s home and Australia as a whole. But also, note that a water heater accounts for around a quarter of the total energy cost in your home. That’s why its efficiency is an important factor to consider. If your energy bills start hiking and you have not added more users or new appliances, then you need to check your heater’s efficiency. An inefficient water heater will not only drain your pocket but also increase the level of pollution through greenhouse emission. But there are several measures that you can take to increase water heater’s efficiency. Though some of the measures may require specialised skills most of them are simple and you can do them yourself. Others may require a change on how hot water is used in your home. Most of the energy lost in hot water is lost to the surrounding. After the water heater has heated up the water to the required temperature, an ideal system should maintain that heat. But in most heaters, particularly the storage-type water heater, a lot of heat is lost to the surrounding and thus you will be required to re-run the unit so as to maintain the temperatures. By insulating the system, you will reduce the amount of energy lost significantly. If you have a large household using a storage-type water heater, adding more insulation to the unit can help in saving energy. The fact that the tank store hot makes most of the heat to be lost to their surroundings through convection. But this can be reduced by creating an insulation layer all around the tank. Make sure that you have decreased the area of contact between the tank and the surrounding. 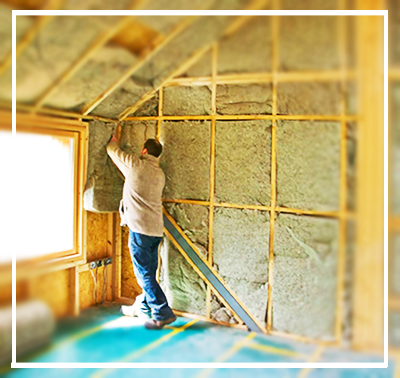 Most manufacturers provide guidelines on how to do insulation. Be very careful with blocking air inlet in gas-fired water heaters. Insulating the tank is not enough; pipes should also get insulated. If the pipes transferring water into your home are exposed, a lot of heat energy will be lost. Most of the heat energy is lost while the water is still in the pipes. Insulation will reduce the amount of water wasted while waiting for the warm water to start flowing, particular in the shower. Insulation will help in preserving heat during the cold seasons. With properly insulated water heater unity, the amount of energy used by the system will be reduced. This will improve your unit’s efficiency and lifespan. The temperature at which the water heater is set at is an important factor to consider. If your unit is running at 65 degrees Celsius or more, then you are wasting a lot of energy. The temperature may have been set high or the control (thermostat) is the problem. You can cut the cost of your energy bills by 10%-15% by lowering the temperature setting just 5 degrees. The temperature should never go anything above 65 degrees since this is wasted energy. A hike in your energy bills or water overheating could be coming from a faulty thermostat. You should check whether the thermostat is functional or it needs replacement. This is another measure that can increase the efficiency of your water heater. Heat traps are elements that are mostly installed on the gas or electric powered water heaters. They prevent heat loss from inside the storage tank when the flow of water stops. On the other hand, anti-convection valves will help in reducing the loss of energy through convection. If your unit has the hot outlet and the cold inlet running vertically up from the water tank, you could be losing a lot of energy through convection. The two methods reduce what is referred to as thermo-siphoning. If your water heater has gone for several months or years without flushing sediment, then it could be the reason your bills are going up. Electric powered water heaters are the most affected by sediment build-up. The scales formed over the element makes it difficult for the elements to function properly and a lot electrical will be required heat the water. This extra energy will be reflected on you power bills. By draining the tank regularly, you will be able to remove scale building-up over the heating element thus cutting on the energy needed to heat the water significantly. 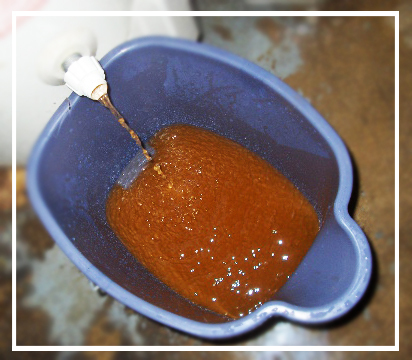 Ensure that you have flushed out any sediment forming in the tank. If you can reduce the amount of water leaving the tank, then you will have increased the efficiency of your water heater significantly. Studies have shown that almost a quarter of Brisbane’s homes water is lost through shower and sinks. Therefore, it’s important to have showers and faucets that can deliver fewer litres of water per a minute. Installing low flow showers and faucet will reduce the amount of water output by two-thirds. This will reduce the demand of hot water, energy cost and also increase your water heater’s efficiency. Negligence is one of the leading causes of water heater poor efficiency. Once the system is installed, most of the homeowners do not bother checking unit as long as they are getting hot water. Small problems that could have been avoided become bigger and affect not only the efficiency of the water heater but also its useful life. It is important to follow the manufacturer’s maintenance guidelines and if possible, check the unit now and then yourself. These are measures that you can take to increase the efficiency of your water heater. With the water output and loss of heat reduced, you can rest assured that your energy bill will drop drastically. The efficiency and the useful life of the heating unit will also increase significantly. If you need any help, just call Hot Water Brisbane and we will be grand to help you out with your hot water heater and plumbing issues. This entry was posted in Hot Water System. Bookmark the permalink.